One of three office workers is about to lose their job. As Tony, Isobel and Thomas wait for their boss to deliver the verdict, the three discuss each other's chances of survival. For alpha male Tony and calculating Isobel, it's clear that Thomas is getting the chop. In the struggle for survival, no blow is too low. A razor-sharp play about the fine line between office politics and playground bullying which exposes the vicious side of human nature and the power of words. 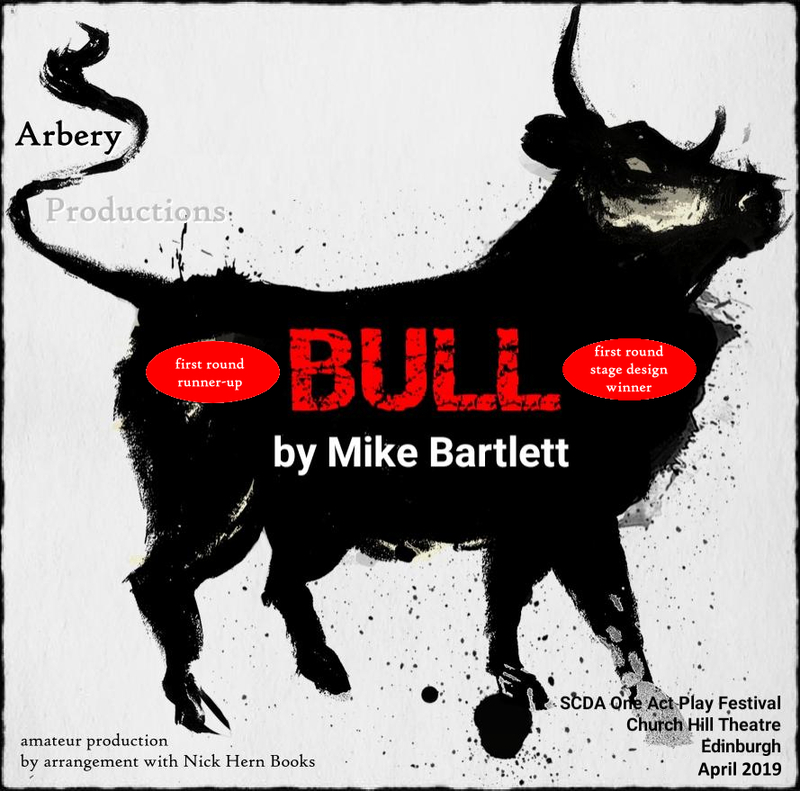 Arbery Productions' Bull came second in the Edinburgh District Scottish Community Drama Association One-Act Festival in February, also winning the prize for best stage presentation. 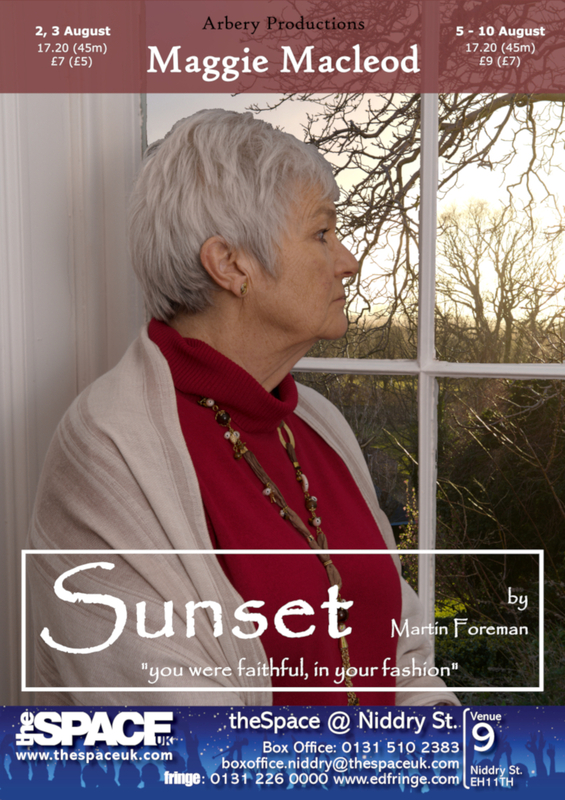 The play goes through to the Eastern Division round at the Church Hill Theatre on Saturday 6th April and will be staged at the Edinburgh Fringe on 12 - 17 and 19 - 24 August. At the end of the day a grandmother remembers her first date, the man she married and their life together. A moving and intense portrait from Maggie Macleod. At theSpace on Niddry Street (venue 9), 2, 3 & 5 - 10 August at 17.20 (45 mins). Ticket prices and booking details will be posted shortly.